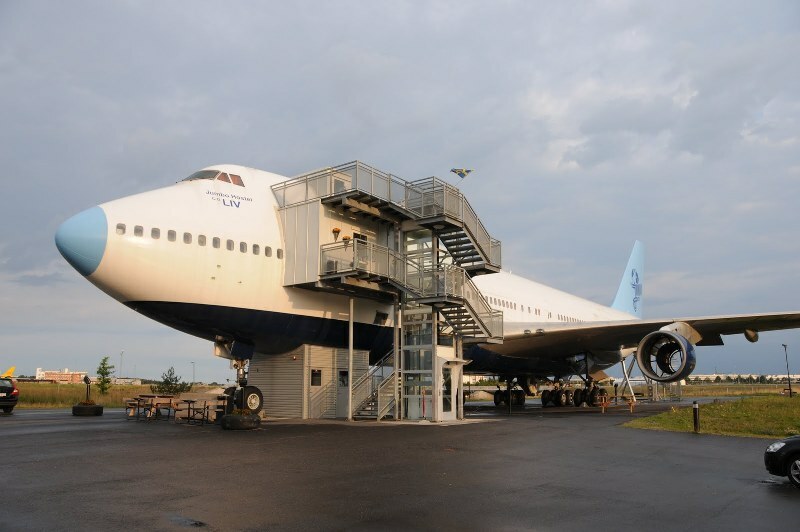 Sweden’s Jumbo Stay Hostel: A 1976 Boeing 747-212B that has been redesigned into a hotel! 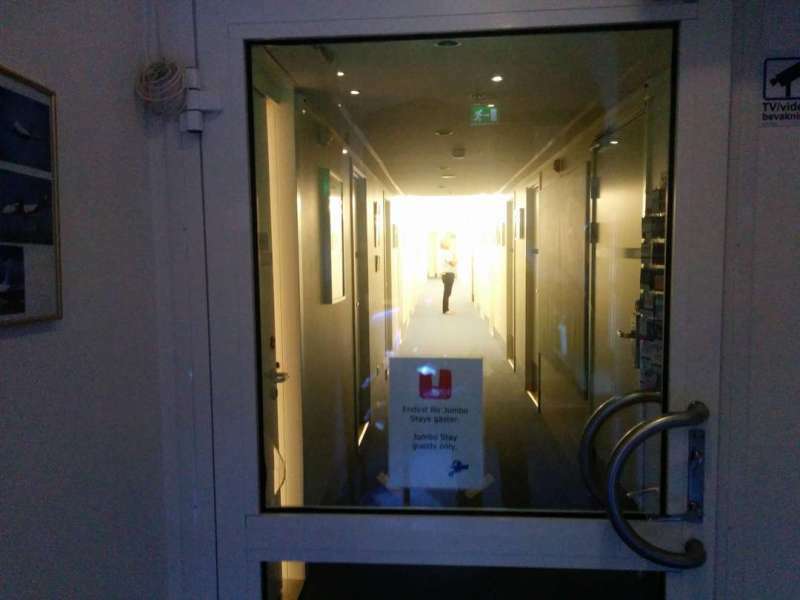 At the Arlanda Airport in Sweden’s capital city, Stockholm, exists a hotel that is probably the first of its kind in the entire world. 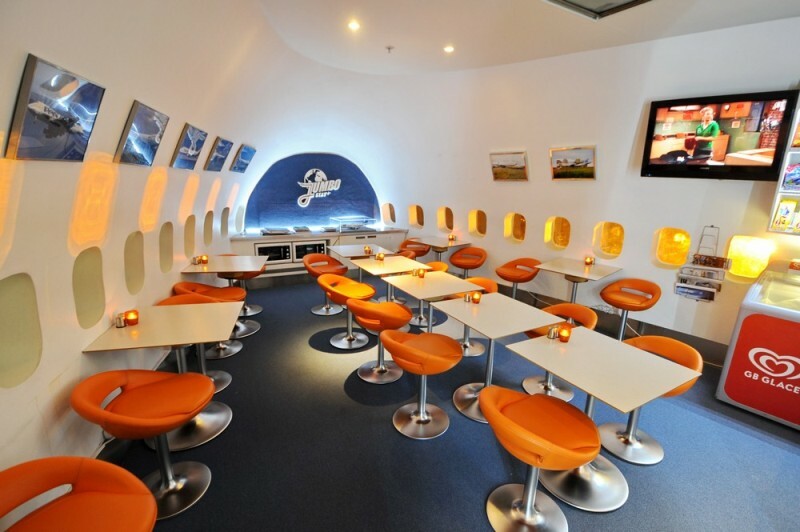 The Jumbo Stay Hostel welcomes its guest not into an exquisitely ornate receiving area, as is the case in traditional hotels, but to the inside of a defunct 747-200 jetliner that has been tastefully and indeed ingeniously converted into a full-fledged hotel. 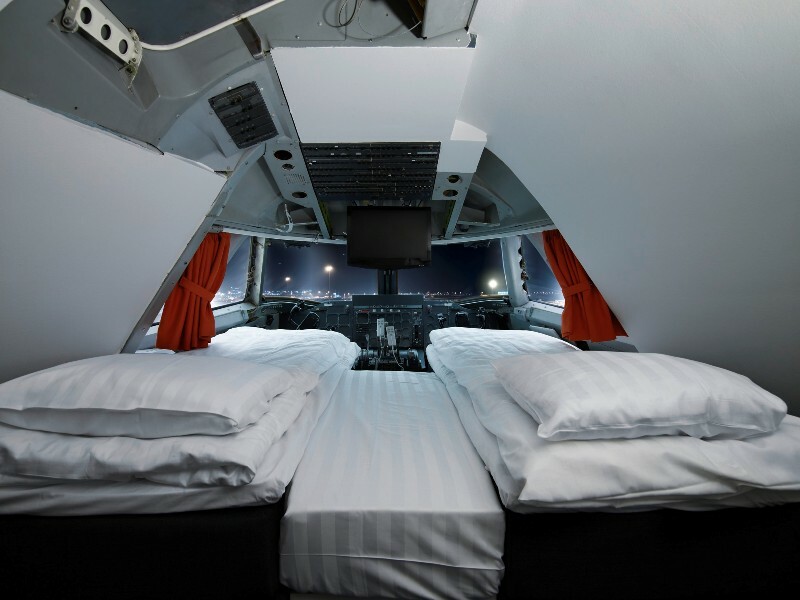 Opened in 2008, this hostel is present inside a Boeing 747-212B, actually built in 1976 for Singapore Airlines. 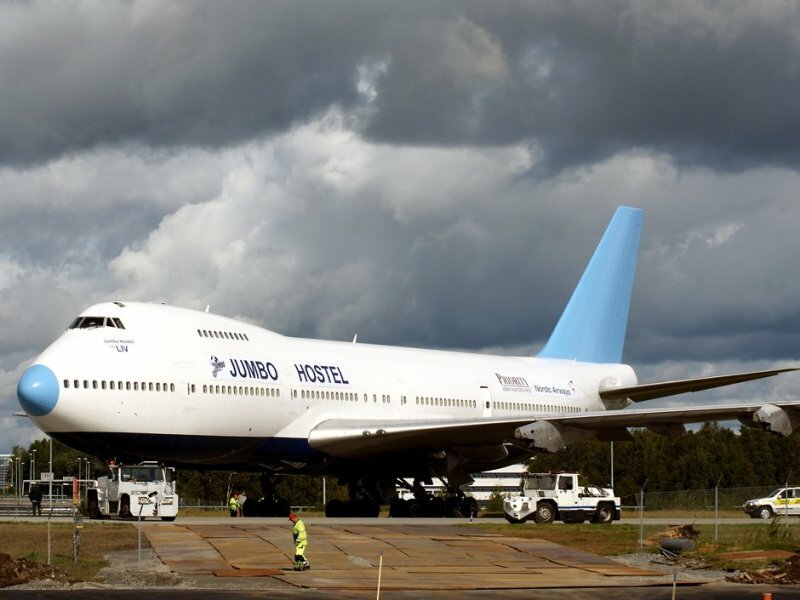 After being sold to Pan American, the aircraft operated for quite a few years until it was decommissioned in 2002, with the bankruptcy of the Swedish Transjet Airways. The construction of the two-storied hotel started only in January 2008, with the removal of all 450 seats from the cabin area. The interiors were thoroughly sanitized and new paint was applied. The building had to make separate provisions for climate control and insulation. 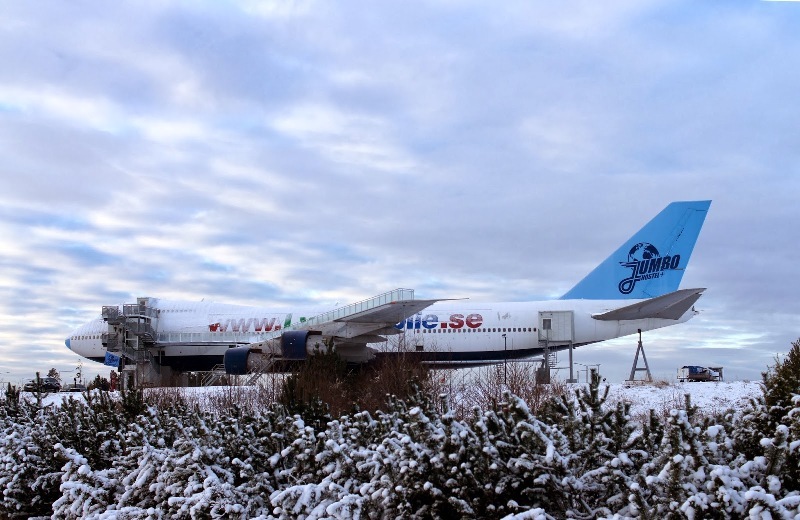 Upon completion, the Jumbo Stay Hostel was relocated to its current destination near the entrance of the Stockholm Arlanda Airport. The hotel comprises of 27 rooms, with two to three bunk beds in each, and communal toilets located at either sides of the corridor. Each of these budget rooms, about 6 square meters in area, comes equipped with flat screen televisions, along with wireless broadband to be used exclusively by the guests. 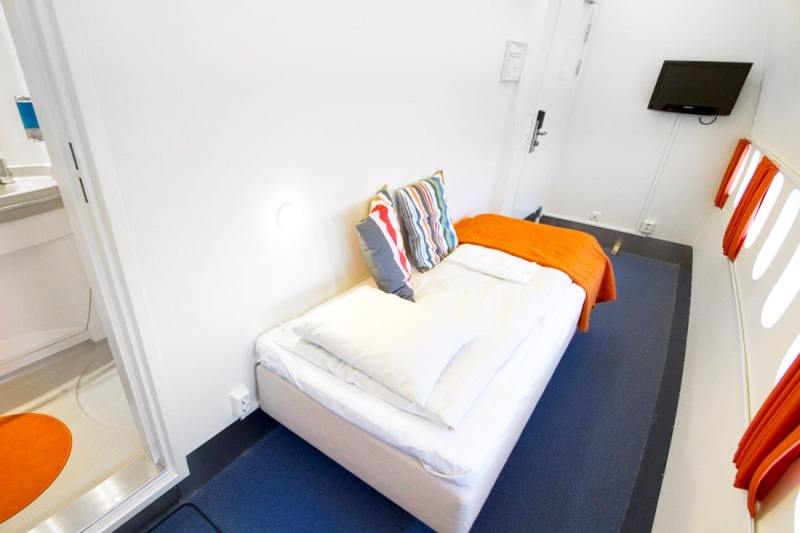 This is the budget price alternative Arlanda has needed for quite a long time and also a new landmark at Arlanda offering a unique experience for the guests. 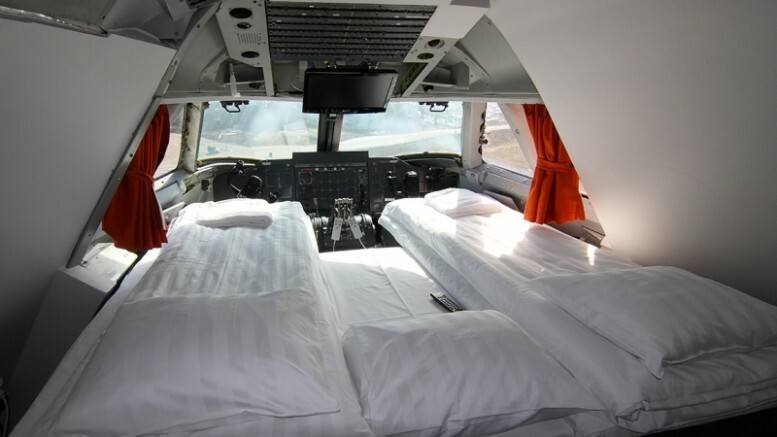 For those looking for a slightly more extravagant set up, go for the costlier luxury “cockpit suite”. 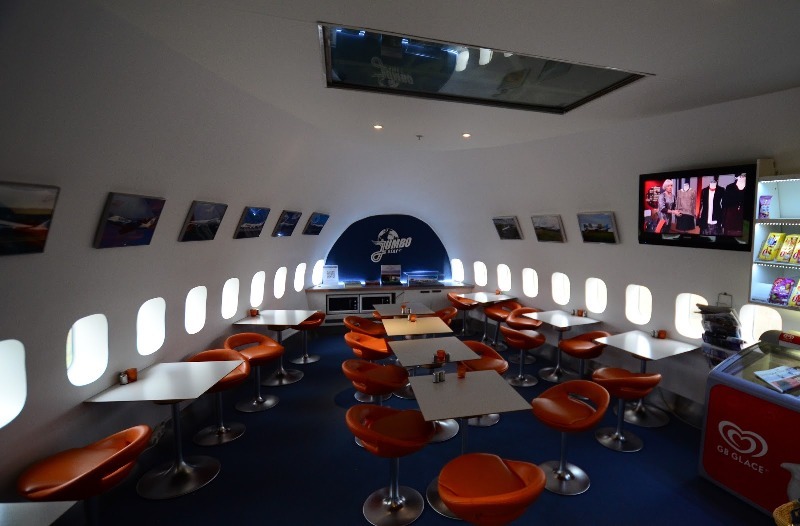 Apart from these, the Jumbo Stay Hostel features a lookout deck built right on one of the airplane wings, a conference hall and a well-stocked café that treats the guests with delicious goodies all day long. Interested to learn more about this one-of-a-kind hotel? Visit the official website of Jumbo Stay.